Marriott International is carrying out its global initiative. 328,800 employee volunteers from 74 countries serve the community one day each year. This year Communal Asylum was chosen. Volunteers visited the elderly, handing out food and toiletries. 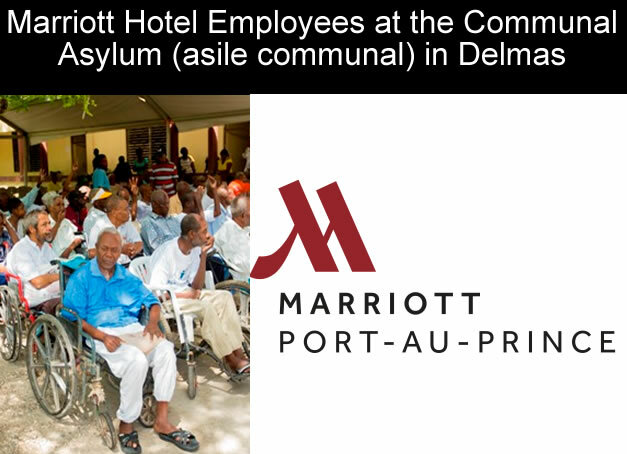 Marriott Port-au-Prince's Peter Antinoph said, " . . . we seek to convey . . . the deep commitment of our company . . . . (and) help Port-au-Prince . . . become a space where life and activities are progressing . . ."